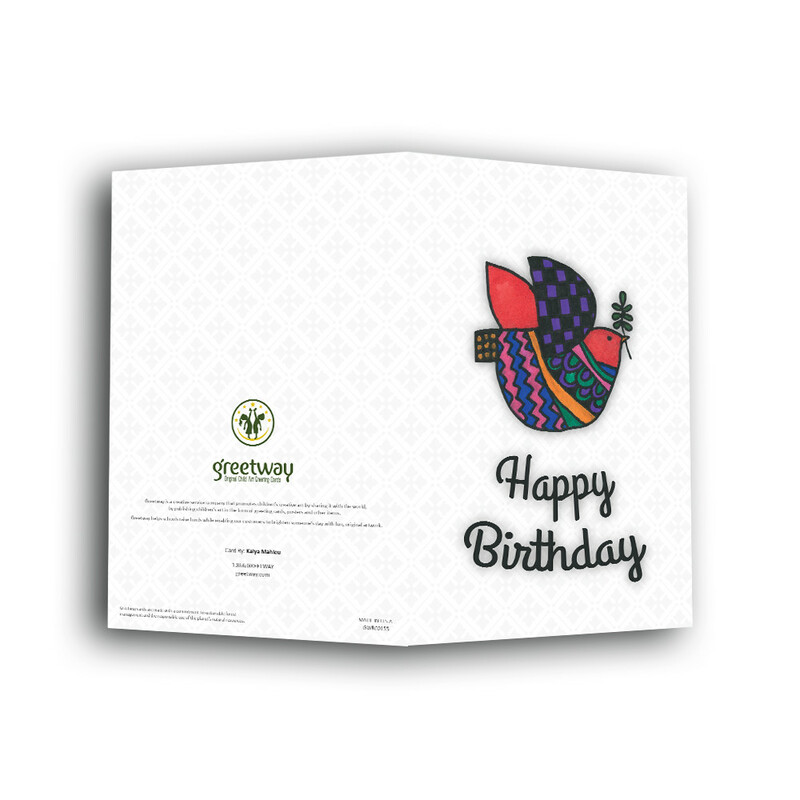 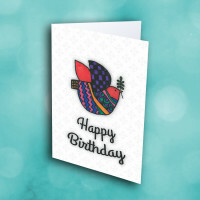 Send a birthday message of peace and warmth with this artistic birthday greeting card. This peaceful, child's artwork-based bday card is sure to brighten up someone's special day. 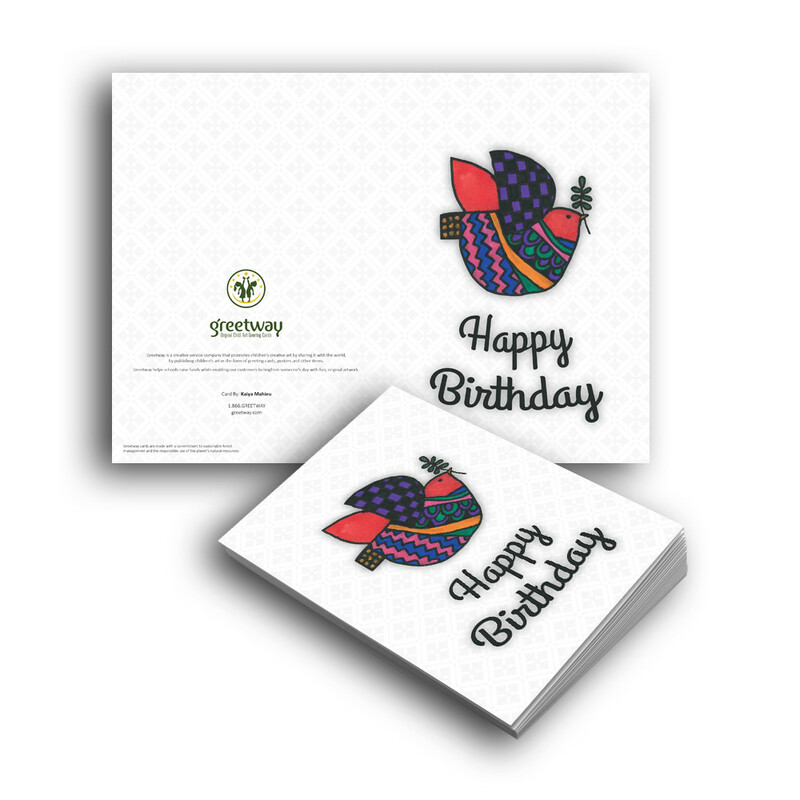 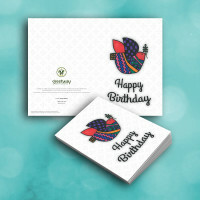 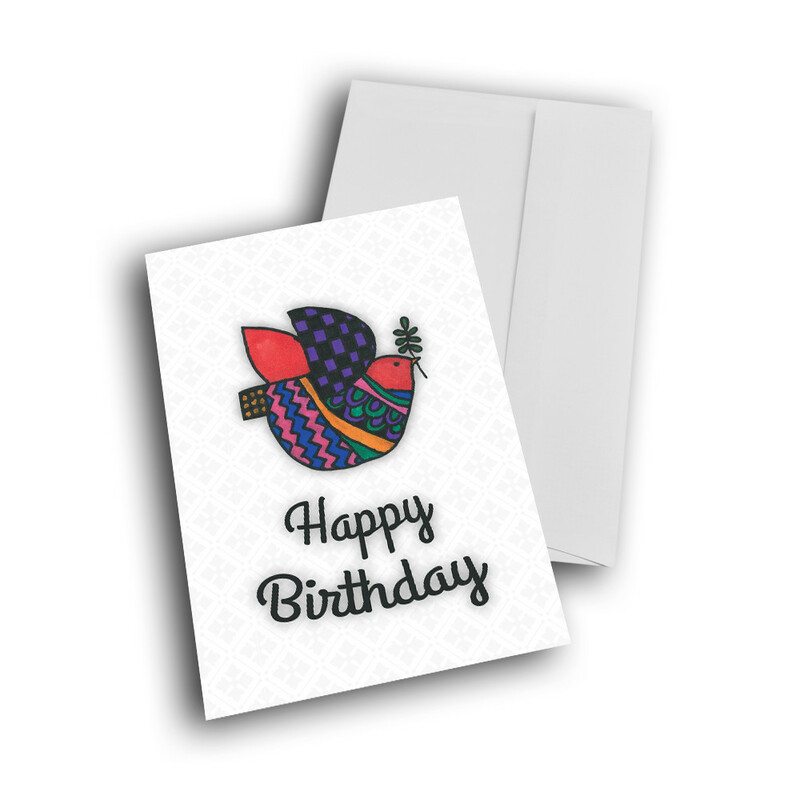 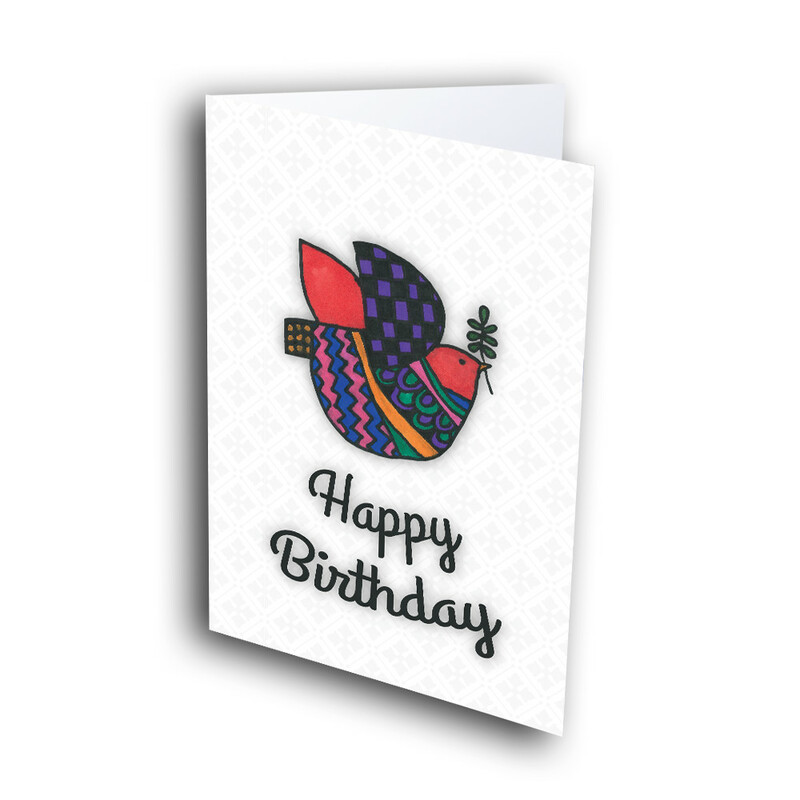 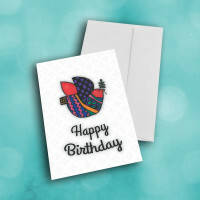 Against a white, diamond-patterned background sits a colorful, multi-patterned dove, above the loopy birthday message. 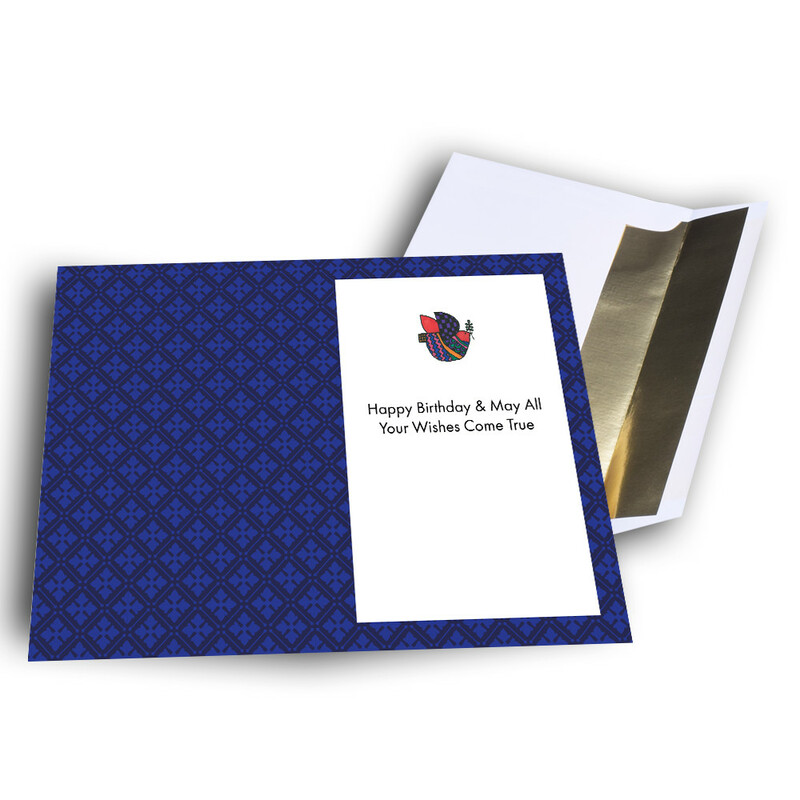 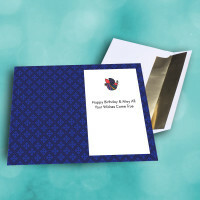 The inside features the same diamond patterned background, in deep-blue, as well as a classic birthday greeting. 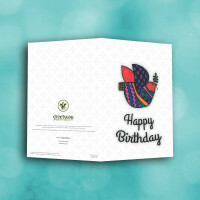 Personalize this message to make this a customized birthday card.